Our Qigong events feature music that gives goosebumps because the vibe is so high. Many people tell us that the music takes what we are doing to a whole other level and it is true. Music is the Universal language. The sounds on this CD have been carefully selected by Jami Deva and Jeff Primack because of how music amplifies the experience of Qi. 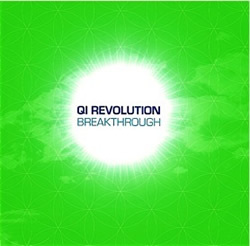 This CD features a continuous mix of the music used in the QI REVOLUTION Workshop and Qigong Healing DVD’s. It blends together the sonic landscapes from the Breath Empowerment and Level 1, 2, & 3 Healing forms.